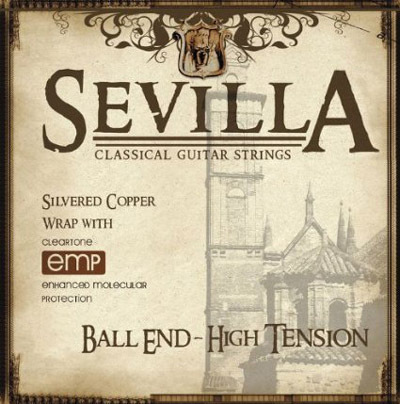 Sevilla Strings are classical guitar strings that feature Cleartone Strings' Patented EMP Coating. With its one micron coating, the Sevilla Strings treatment is the thinnest coating in the industry, designed to last a long time without compromising the feel and sound of traditional strings. Hard tension.